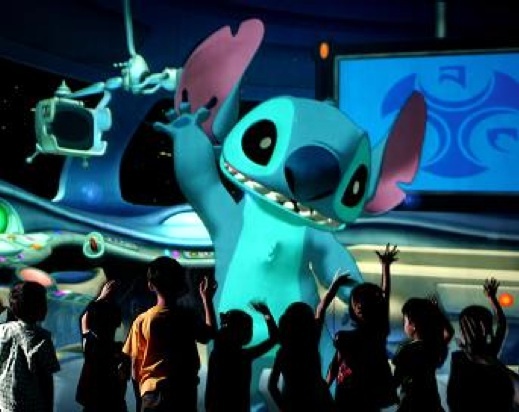 Stitch Encounter is a live show in Tomorrowland at Tokyo Disneyland. It's worth seeing on a time-permitting basis. Opened in summer 2015, this show plays in the former Captain EO theater. Guests talk with Stitch, who appears from space on a theater screen. Stitch will respond and carry on conversations with guests in this 12-minute show.